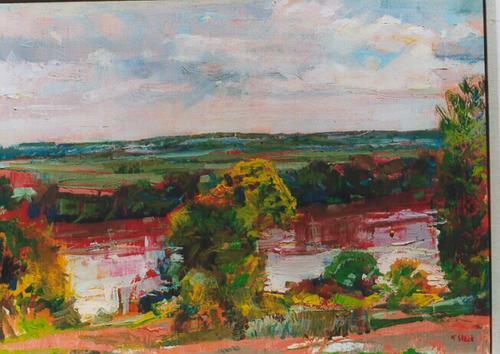 This original oil on canvas painting represents a view of the Missouri River in the Summertime. The artist captures the lush quality of the landscape and the atmospheric effects of the warm, humid air. His impressionistic style is characterized by expressive impasto and visible brushstrokes.